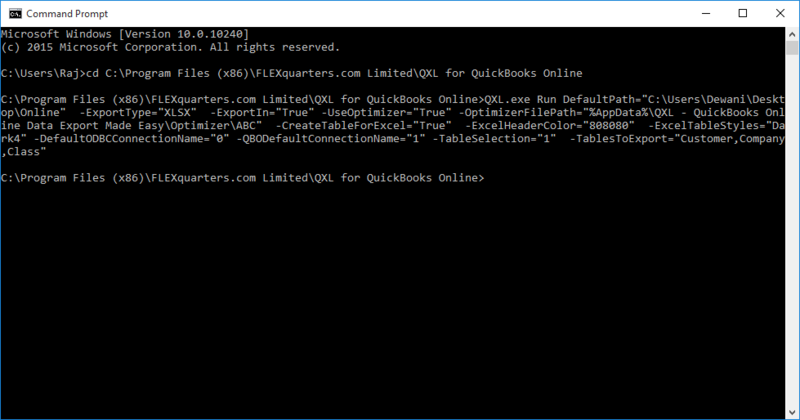 I want to export QuickBooks Data for multiple company files using QXL. I want to schedule QXL for exporting QuickBooks Data. 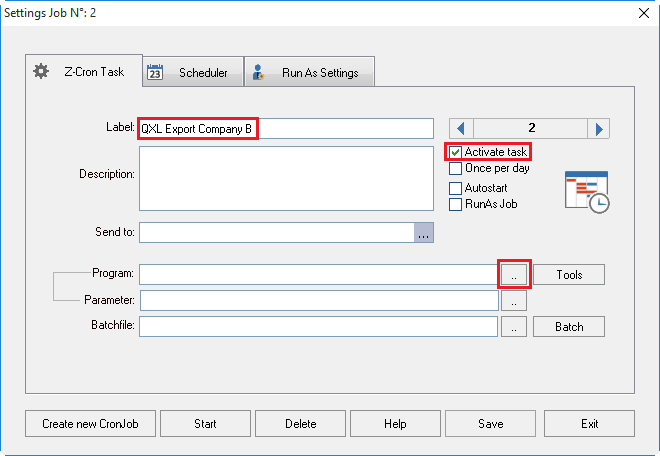 So it will automatically export QuickBooks Data for multiple company files on scheduled time. 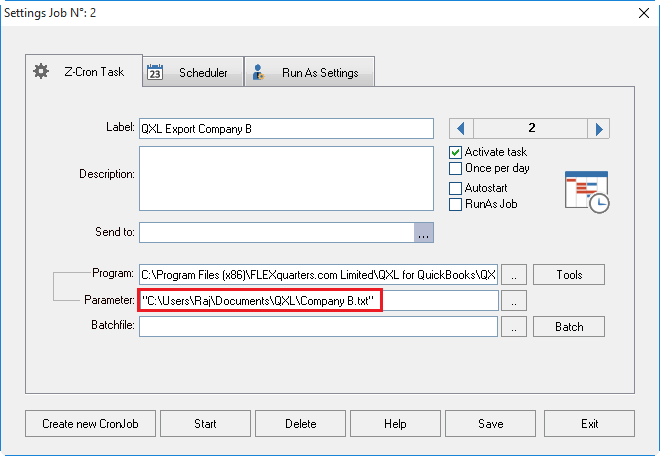 But I don't know how can I use QXL with Scheduler for multiple company files. 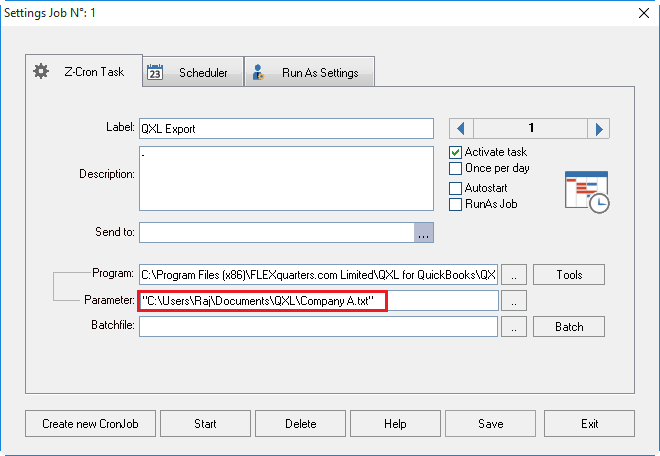 You can use QXL Parameter file for exporting QuickBooks data from multiple company files. 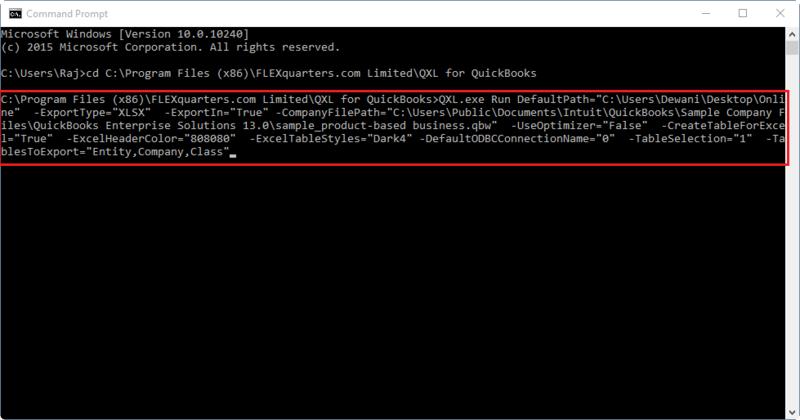 When you install QXL at that time sample parameter file is installed at "C:\Users\Your User Name\Documents\QXL\" folder. Sample parameter file opened. You can use "CompanyFilePath" parameter & can provide your company file path in the parameter file. You can copy this file & rename like "My Company.txt" e.g. "Company A.txt". After copying parameter file, You can provide your company file path using "CompanyFilePath" parameter. Also, You can add/update other parameters in a text file as per your requirement. Refer QXL Command line arguments/parameters for more details about QXL Parameters. Same way you can create a separate parameter file for other company file(s). 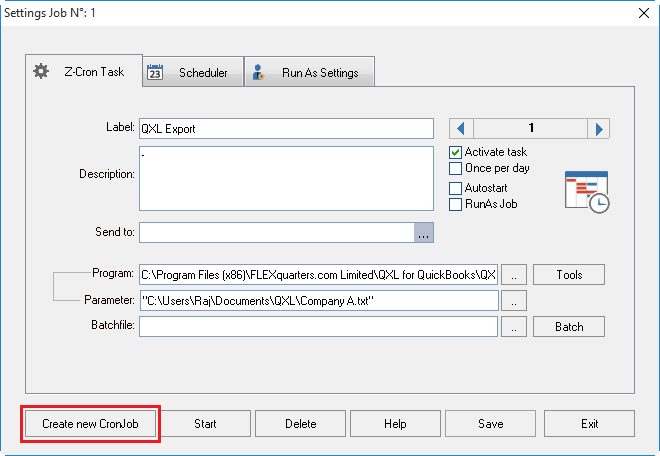 You can use above Parameter file in your scheduled application to export QuickBooks Data using QXL. 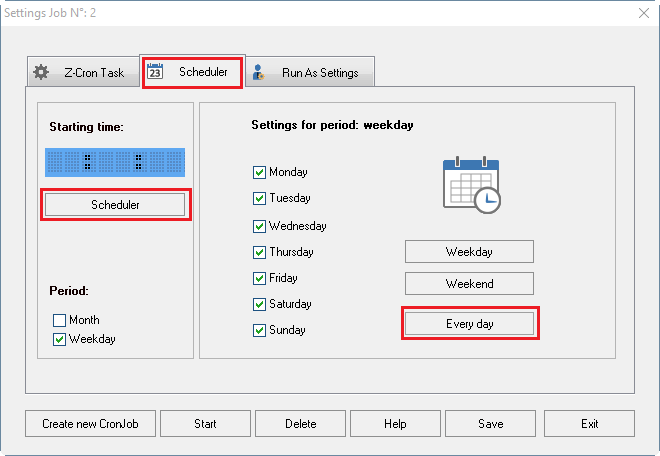 You can use any desktop-based scheduler (example "Z-Cron"). 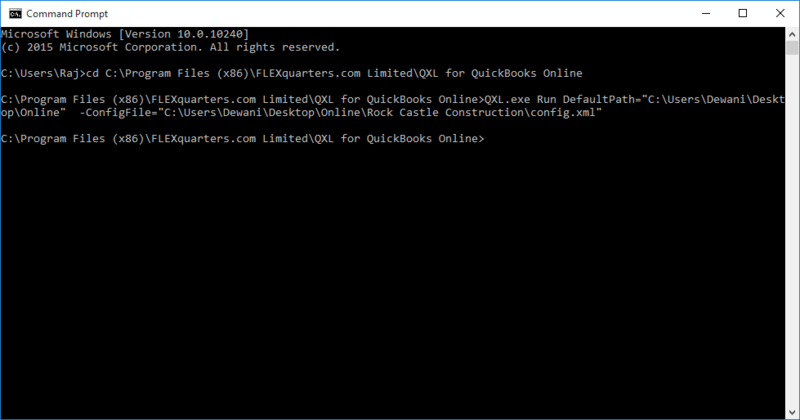 QuickBooks, QuickBooks SDK are desktop based and not designed to run as service. 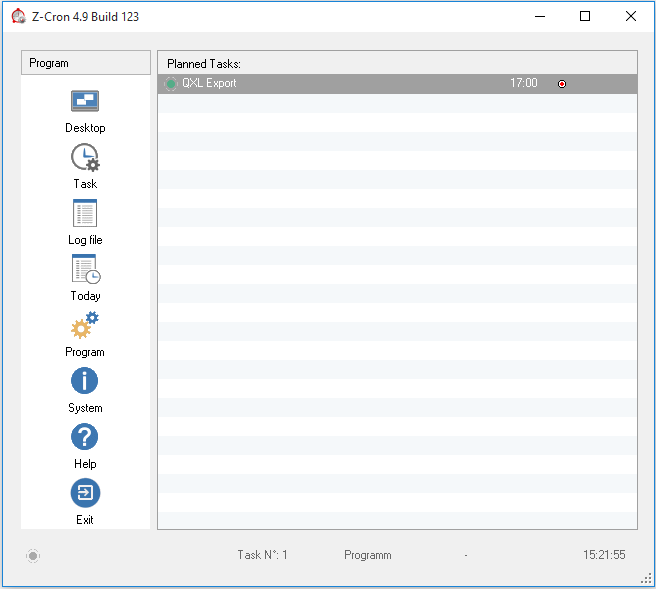 QODBC & QXL is also a desktop based application. Thus you will need an active desktop session(someone logged into the machine). 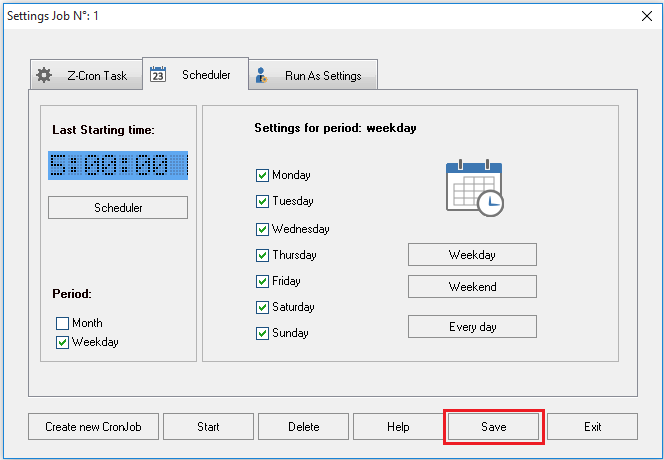 You may not be able to use the service based scheduler like "Task Scheduler". In this example, we are using Z-Cron but you can use any other desktop-based scheduler. After downloading Z-Cron, please install it on your machine. 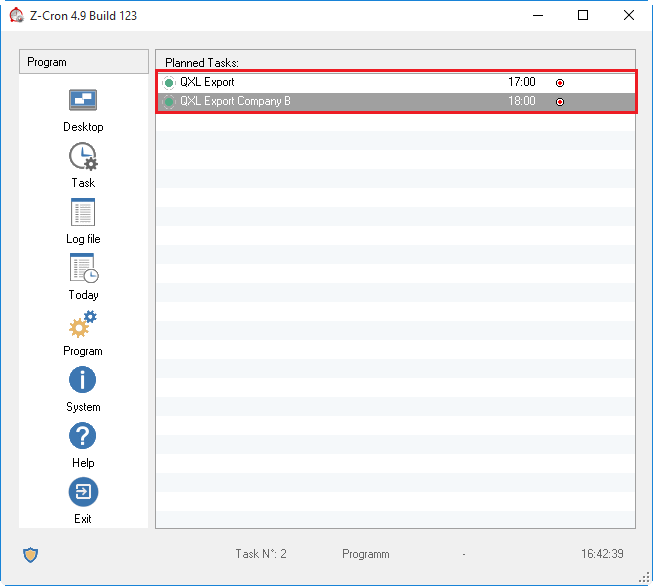 After Installation please start Z-Cron and add task by "Task" button. 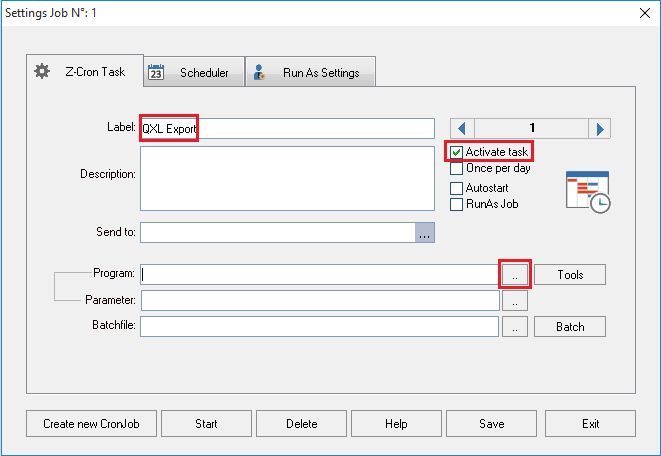 Enter Task Title in Label box & enable "Activate Task" option to activate the scheduled task and choose Program by clicking ".." button. 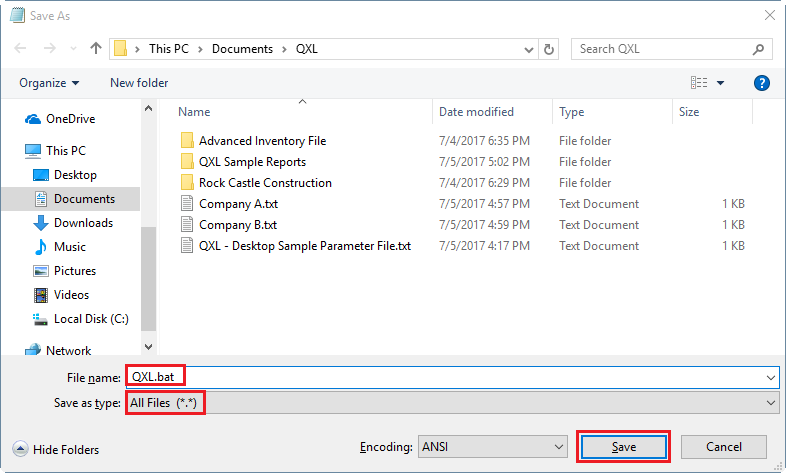 Select QXL.exe from the QXL installation folder; click "OPEN". 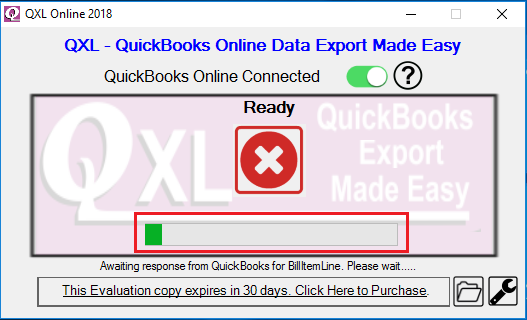 For 32-bit OS: "C:\Program Files\FLEXquarters.com Limited\QXL for QuickBooks"
For 64-bit OS: "C:\Program Files (x86)\FLEXquarters.com Limited\QXL for QuickBooks"
After selecting QXL.exe insert parameter file path in the "Parameter:" box. Now navigate to "Scheduler" tab to schedule export. In this example, I am scheduling export to every day two times (i.e. 8:00 AM & 5:00 PM). 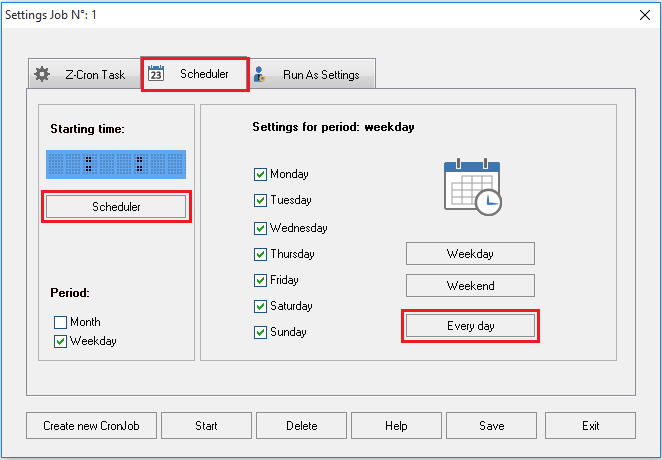 Click on "Every day" button to select all weekdays & click on "Scheduler" to configure schedule timing. Select time & click on "Save". 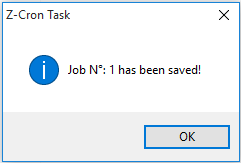 Now save the scheduled job by click on "Save". The scheduled job is saved. Scheduled task is ready for the execution. It will be run on schedule time. Now we will create a new task for other company file. 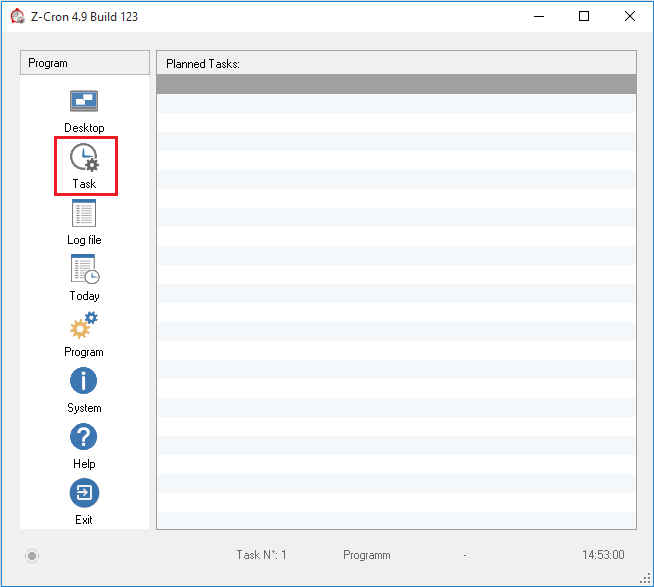 We can create a new task by clicking on "Task" button from Z-Cron. Z-Cron is open with the existing task. 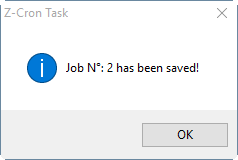 For creating new task click on "Create new CronJob" button. Now navigate to "Scheduler" tab to schedule export. In this example, I am scheduling export to every day two times (i.e. 9:00 AM & 6:00 PM). Note: You can run only instance of QXL at the time. So don't schedule QXL for exporting two more company file at the same time. There should be a time gap between the export schedule of two or more company files. Time gap depends on the export time of your QuickBooks company file data. 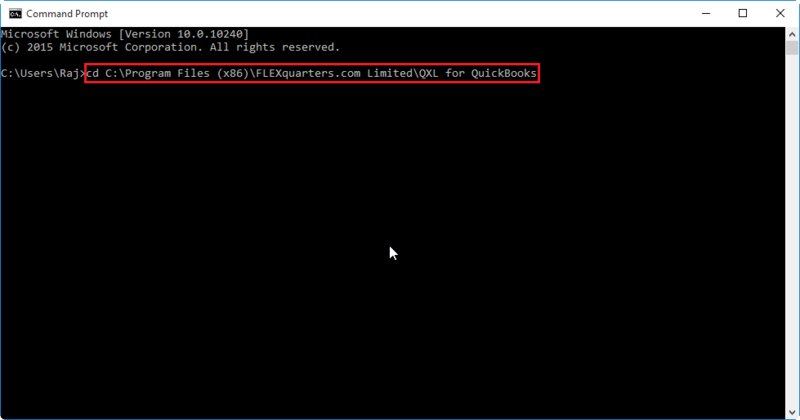 You can create a batch file & can insert command for exporting QuickBooks data for multiple company files. So it will export data from multiple company files one by one. To create a batch file you need to open "Notepad" & write below command. 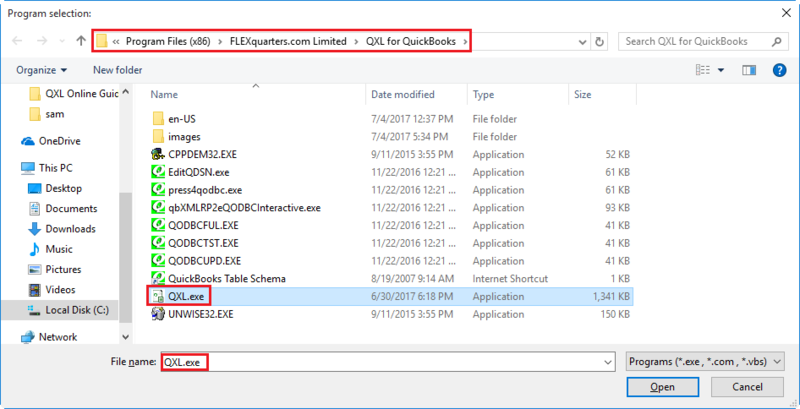 cd "C:\Program Files (x86)\FLEXquarters.com Limited\QXL for QuickBooks"
Save your file by heading to "File", "Save As"
Select "All Files (*. *)" as "Save as type:" and Enter name your file what you’d like & click on "Save". The batch file is created. You can schedule batch file using the scheduler. It will be run on schedule time. 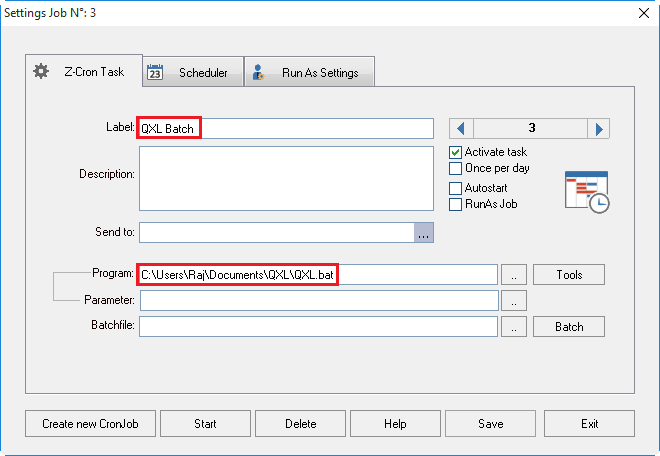 For scheduling batch file you can refer above steps. Just one step changes which is the path of batch file rest of the steps are same as above. You can run QXL through command prompt & can set parameters. 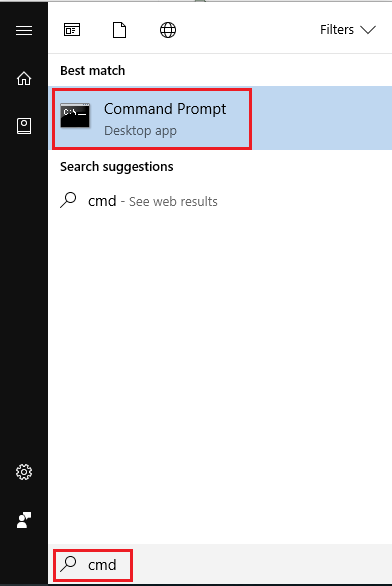 You can open the command prompt by searching "cmd" from start menu & can open the command prompt by clicking on "Command Prompt" icon. 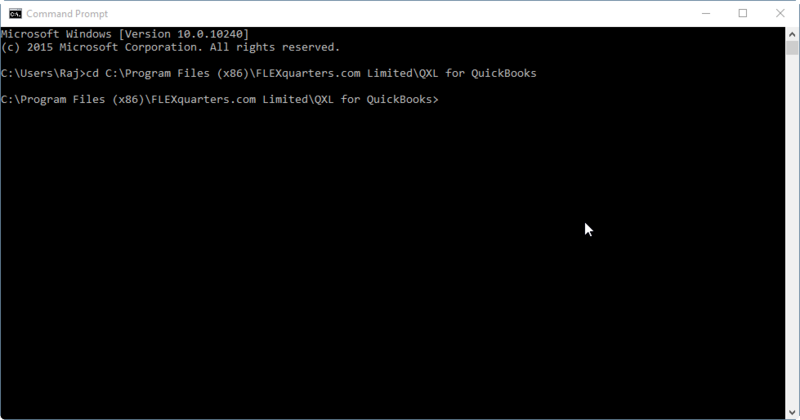 The Command Prompt has opened Navigate to "QXL for QuickBooks" folder by typing below command. Execute command line argument by using below sample. You can add/remove/change par value as per your requirement. 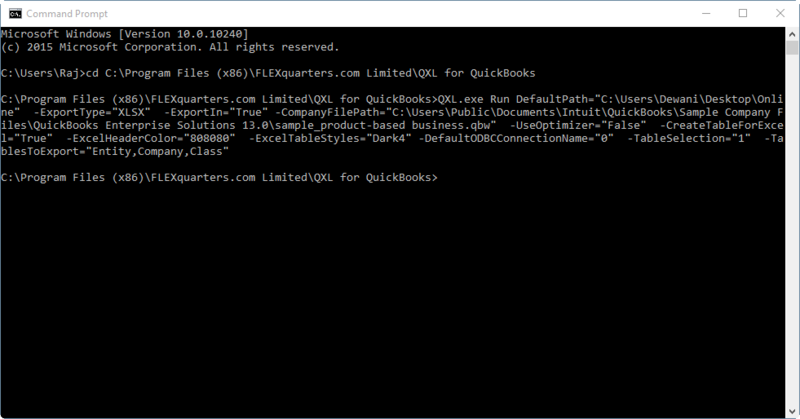 QXL.exe Run DefaultPath="C:\My Folder\Exported Data" -ExportType="XLSX" -ExportIn="True" -CompanyFilePath="C:\Users\Public\Documents\Intuit\QuickBooks\Sample Company Files\QuickBooks Enterprise Solutions 13.0\sample_product-based business.qbw" -UseOptimizer="False" -CreateTableForExcel="True" -ExcelHeaderColor="808080" -ExcelTableStyles="Dark4" -DefaultODBCConnectionName="0" -TableSelection="1" -TablesToExport="Entity,Company,Class"
QXL will start exporting data as per provided parameters. After the exporting data is completed, QXL application will close automatically. You can configure different config file & can use it through "ConfigFile" parameter. 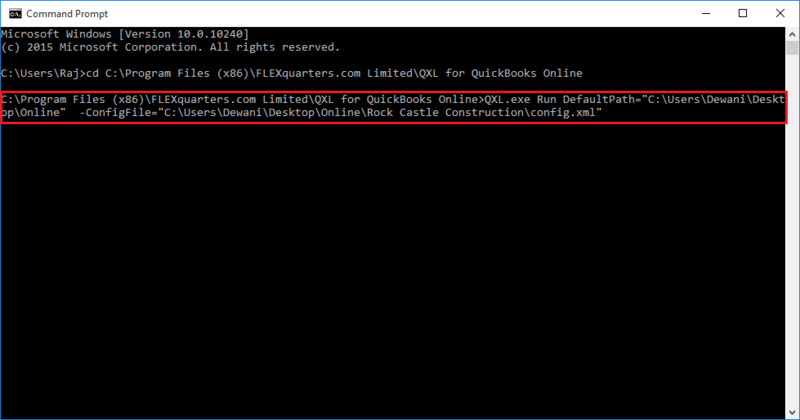 You need to provide the path of your QXL config file as below. 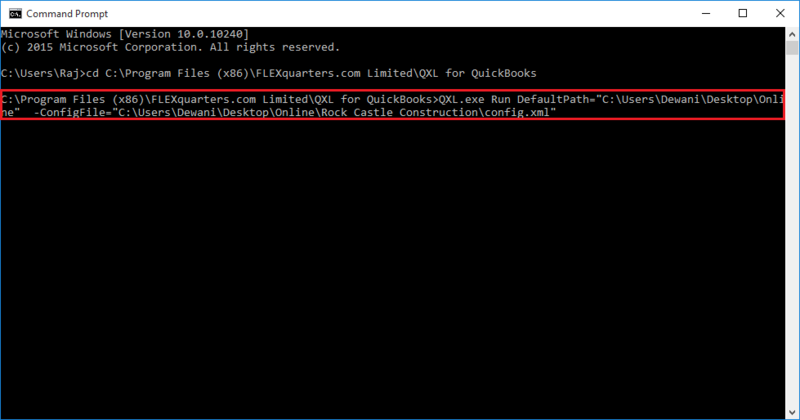 QXL.exe Run DefaultPath="C:\My Folder\Exported Data" -ConfigFile="C:\My Folder\Exported Data\Rock Castle Construction\config.xml"
Note: The command prompt supports up to 8191 characters as command line argument. So you cannot use more than 8191 characters as command line argument. You can use parameter file if command line argument exceeds 8191 characters. Refer: QXL Command line arguments/parameters for more details about QXL Parameters. 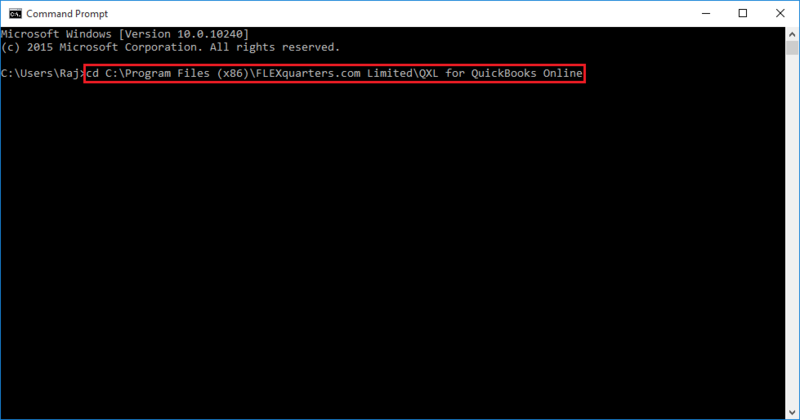 The Command Prompt has opened Navigate to "QXL for QuickBooks Online" folder by typing below command. QXL.exe Run DefaultPath="C:\My Folder\Exported Data" -ExportType="XLSX" -ExportIn="True" -UseOptimizer="True" -OptimizerFilePath="%AppData%\QXL - QuickBooks Online Data Export Made Easy\Optimizer\ABC" -CreateTableForExcel="True" -ExcelHeaderColor="808080" -ExcelTableStyles="Dark4" -DefaultODBCConnectionName="0" -QBODefaultConnectionName="1" -TableSelection="1" -TablesToExport="Customer,Company,Class"